Even though the age of dinosaurs ended millions of years ago, their existence made a clear mark in the ever-changing world of pop culture. Their scary, yet imposing and fascinating appearance, inspired numerous film and cartoon makers, but also video game producers. I doubt there is any of you who didn’t have plush or rubber dinosaur toys and never played them in the times of your childhood… or maybe I’m just THAT old. If you didn’t, then now you have a chance to relive your youth by playing Dino Bash – an iOS and Android game released by Tilting Point. The game is maintained in a cartoon-like style, where dinosaurs and their sworn enemies – Cavemen, look rather funny and friendly. Don’t get mistaken by this idyllic image, because the case is much more serious than it looks! The dinosaurs are here to protect The Egg, which they believe is the “Chosen One”, from swarms of barbarous Cavemen who want to see it on their dinner table. This time, as you might have guessed already, dinosaurs belong to the good side of the force, whereas the humans here are clearly the bad guys. Despite their brute force, Cavemen have a number of weapons and devices at their disposal, including stones, torches, spears, catapults and even hang-gliders, while reptiles rely on their strength and powers (Specials and Shots) which come from the raw forces of nature. 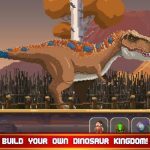 As a dinosaur leader, you will not be alone in the endeavour of protecting the Chosen One, but you will have many Dinos, Specials and Shots to stop the hordes of enemies. Each dinosaur and a special power is different and it is up to you how you are going to use them in order to gain advantage in battle. The game is divided on two modes: adventure mode and the battle mode. In the adventure mode you basically advance in your quest by choosing places to strike on the worldmap, upgrade your powers and make your dinosaurs stronger. The battle mode, however, looks like a typical Tower Defense game seen from the side. The gameplay in Dino Bash is pretty straightforward and the first missions are full of tutorials, so even players with little experience in Tower Defense games should get it right. The Egg you are protecting is placed on the left side of the screen, whereas the enemies are swarming from the right side. Your task basically is to use any means possible to stop the incoming Cavemen. 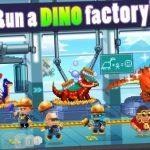 As easy as it may look, you might have a couple of questions regarding tactics and approach of how to successfully counter particular enemies and play Dino Bash effectively. So here is our compilation of Dino Bash cheats, tips and strategies that you may find useful. Just like in every conventional Tower Defense game, in Dino Bash you have different towers or minions (which here are dinosaurs) at your disposal. The thing is, you don’t have to bother with manually controlling every single unit you have, but you can simply “release” them and they will automatically run towards the right side of the battle map, damaging, killing or… dying from the hands of the nasty Cavemen. You can choose from a variety of Dinos – each having particular pros and cons. You want to learn them first, as well as your opponents’ in order to make the best of it. During the early levels you will have merely three or four kinds of Dinos, including Snappies – the weakest, but also the cheapest of them, Raptors – decent melee damage dealers, but also pretty vulnerable to attacks, and Spittys – a little more expensive than Raptors, but capable of taking down your enemies from afar. The further you advance in the adventure mode and the more coins you collect, the more different kinds of Dinos you will be able to recruit. To unleash a Dino on the track you need a particular amount of apples, whereas to add new ones to your team, you first need to unlock them and then purchase them in the in-game store by spending coins you get as a reward for every battle. The good thing is that you get coins regardless the battle is won or lost. Learning your Dinos’ capabilities is one thing, but your enemy also has a number of different type of minions to unleash. In Dino Bash you will face normal Cavemen, spear-wielders, shooters, shield-bearers and Hidden Cavemen. Amongst the teeming masses of the regulars there are, however, some which have to be your primary targets. They are Healers, Fire Cavemen, Flying Cavemen and Disguised Cavemen. Whenever a Healer is on the track, hitting your other enemies doesn’t make much sense since they will be healed up very fast. Due to their long range of healing Healers usually stick around the back of the line, so it’s good to kill them by using Shots or ranged Dinos. Fire Cavemen do massive damage to your Dinos. They have, however, one vulnerability which is ice. If you have Ice Rocks or Frosty Dino at your hand, make use of them to extinguish the flame. You can also recruit Rambo to smash Fire Cavemen before they notice what just have hit them. If you fail to stop Flying Cavemen, they will quickly go for your Egg and hit it from above, this is why you need either Stego or Shots which will bring them back on the ground. Cluster Shot is a good way to go, since its cooldown is relatively short. And there are Disguised Cavemen which run through the battlefield dressed as Dinos. They can’t be hit by any of your minions, so the only way to take them down is by using Shots or Specials placed around the track. Usually, during later stages of the game, you will have to face Tank Cavewoman which is an equivalent of Tricer or Brachio, but way stronger. She is very sturdy, has very huge amount of health and relatively high damage. The best way to deal with her is to chain crowd-control her with your Ice Rocks while sending Tricer in front and shoot her with high-damage Shots, like The Hunk. Whereas sending Snappies at the early stage of the game is totally OK, later it will simply become a waste of apples. Instead, save your apples for Raptors as your core units and as soon as possible accompany them with Spitters to get a decent melee and range rotation going. When you will have stronger types of Dinos unlocked, such as Tricer (tank-type), Stego (artillery) and Rambo (charger), it’s best to save your apples for them instead. During the battle, the first thing usually you want to do is upgrading your apple gain by once or twice in order to get your apples faster. You probably won’t be able to upgrade them any further, since you will have to keep your Dino rotation going to keep the Caveman at bay. As soon as you will have Stego unlocked, it’s good to send him first, so he can throw boulders at your enemies from a very long range. While Stego will keep your foes busy and you will repeatedly fire Shots every time they are off cooldown, use this time to collect some apples to recruit Tricer. Once he is one the field, you will have a relatively high damage going (from Stego) and your Egg will be well-guarded by Tricer. At this point you want to support your Tricer with low-tiered minions, such as Raptors or Spitters. Also, every time your Tricer or Brachio is down, make sure to replace him by the new one. And keep these Shots firing! 4. Do You Keep Them, Shots, Firing? That’s all you need to do with them, Shots. As soon as cooldowns are off, you want to fire them at the incoming Cavemen. Some Shots, however, are best to be saved on particular kinds of enemies or setups. For instance, Volcano Bomb is the most effective when there is a tight group of Cavemen rushing for your Egg. In such a case, don’t think twice, but blast them with some hot magma right on their heads! Use Ice Rocks to successfully crowd-control tanky minions, such as Tank Cavewomen or armoured-type Cavemen which appear later in the game. Also, as said before, Ice Rocks are good against Fire Cavemen. Cluster Shot have short cooldown and are best used against the regular type of Cavemen and those which lack high defences. Also, use them to uncover Hidden Cavemen who sneak in the bushes, and activate your Hidden Bomb Special. Against armoured-type Cavemen, save Rock Shot or high-damaging Hunk. Mind that, however, the latter lacks accuracy and should be used mostly on frozen enemies or those that are in combat, to make sure that they will be hit. Specials can be best described as upgrades and powers which have a limited number of uses. They are far more devastating to your opponents than the regular Shots. Some of them work as permanent upgrades and traps which are automatically set on the track whenever the battle begins. The example is Hidden Bomb which works as a landmine with large aoe radius that can be triggered whenever you will hit it by any of your Shots. In the result, all Cavemen being in its area receive damage. The most devastating Specials, which area of effect covers the entire battlefield, are those with a limited number of uses, namely Blizzard, Meteor Storm and Megaball. Due to the high rarity of the usable Specials you want to save them only for really, REALLY tight moments, when other means of defence fail. Mind that when the new battle begins, your uses won’t be refilled. The only way to recharge them is by collecting them during certain stages in the game or purchasing them in the in-game store for diamonds – a special, rare currency you get by completing Quests. Other Specials, which can best be described as “defences”, such as Poison Trap or Bush work as damaging fields or obstacles which shield your Egg from the incoming enemies. Remember, however, that the more enemies run over them, the sooner they will be destroyed. They will, however, restore whenever a new battle begins. After finishing a battle (not necessarily winning!) 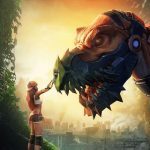 you will receive a certain amount of coins you can spend on upgrading your Dinos and Shots in order to make them stronger and more effective. Make sure to plan your upgrades well, and spend the coins only on things you will be using in your future battles. The main reason for upgrading your Dinos is that with every new upgrade their attack and maximum HP increases by a certain amount, and their appearance changes. Whereas investing in Raptor and Spitter upgrades is a good choice, spending coins on Snappies is pretty much a waste. It’s good to get them to 2nd or 3rd level at best, but don’t go any further since they will still be rather weak for the most part of the game. Upgrading Tricer or Brachio, however, is a must if you want to have a sturdy tank that can withstand a number of enemies. If you have Rambo and Stego unlocked and purchased, you should also spend some coins on their upgrades, since both of them provide invaluable support during battles. Upgrading your Shots will increase their maximum damage, so make sure to spend some cash on them as well. During the early stages of the game, you should invest especially in Volcano Bomb, as it’s the only high-damage-dealing aoe Shot, The Hunk, due to its enormous single-target damage, and Ice Shot, because you will most likely use it in the majority of your battles due to its crowd-control ability. Cluster Shot is also a good way to go, as it’s your secondary aoe utility. However, even if you get it on a reasonably high level, its purpose, due to its low damage, will still remain the same – hitting regular enemies and revealing those hidden in the bushes. Try to balance your spendings between upgrading Dinos and Shots. Don’t improve just one type of them because most likely you will have to make use of most of them during the game. For instance, there are stages in which you will be able only to strike your foes with Shots, and those in which you will need a good tanky-type Dino to make a good standoff against the teeming masses of Cavemen. Remember, that just like in most of Tower Defense games, balance is the key to success. For instance, you can spend them on purchasing new, premium Dinos, such as T-Rex Jr. and Rocky. Remember that this is the only way to unlock and obtain them. Apart from unlocking new Dinos, diamonds can be used to recharge Specials, namely Blizzards, Megaballs and Meteor Storms, immediately unlock new islands to explore, restore lives after each lost battle and make purchases in the in-game store. The store can provide you with “booster packs” of different volume that contain huge amounts of diamonds and coins, but also Specials. Mind that, however, you will have to pay for them with your real money. And that would be all for our Dino Bash strategy guide! In case you have any other tips and tricks for the game, feel free to share them in the comment section below! 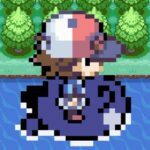 Hi, great write up for a great game. I have found like you said that upgrading apple tree helps and one can eventually gain the ability to start with pre-loaded apple tree which helps a lot. Only one problem with this game (and it’s enough to really influence things): Cavemens’ attack affects everything in it’s swing radius, and Dino attacks only affect the closest Caveman. So what does that description mean? If you have 3 Dino’s at the front, every caveman swing is lowering all their health, whilst their attacks or your powershots (single ones) hit only one- the closest. The remedy is to pace out your Dino’s and when they group-halt up front, expect one then all to fall.